We are looking for an Insurance Consultant to provide assistance to clients purchasing insurance policies. Demonstrate insurance products expertise, communication and negotiation skills, selling aptitudes, detail orientation, and computer competencies. We at Arpico Insurance PLC provides protection to cover every life insurance need of the family. 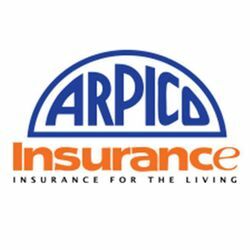 Life insurance is generally associated with the benefits someone receives upon death, Our proposition at Arpico Insurance PLC is to provide benefits during ones life time, 'Insurance for the living'. Therefore Arpico Insurance PLC stands out among all industry players with the value proposition for the living. Improve your chance to get this job. Do an online course on Insurance starting now. Hi Prabhakar, Reach more people by sharing this job with your network. Get updates on latest Sales & Business Development Jobs in Sri Lanka - Colombo.